Claire Ashley (MFA 1995) is known for making inflatable paintings in all shapes and colors. Her most recent work which includes brightly painted glowing spheres will illuminate Mana Contemporary on March 2 for Beautiful/Night, the School of the Art Institute of Chicago’s (SAIC) first alumni and faculty art auction and benefit event supporting student scholarships as part of Beautiful/Work: The Campaign for SAIC. 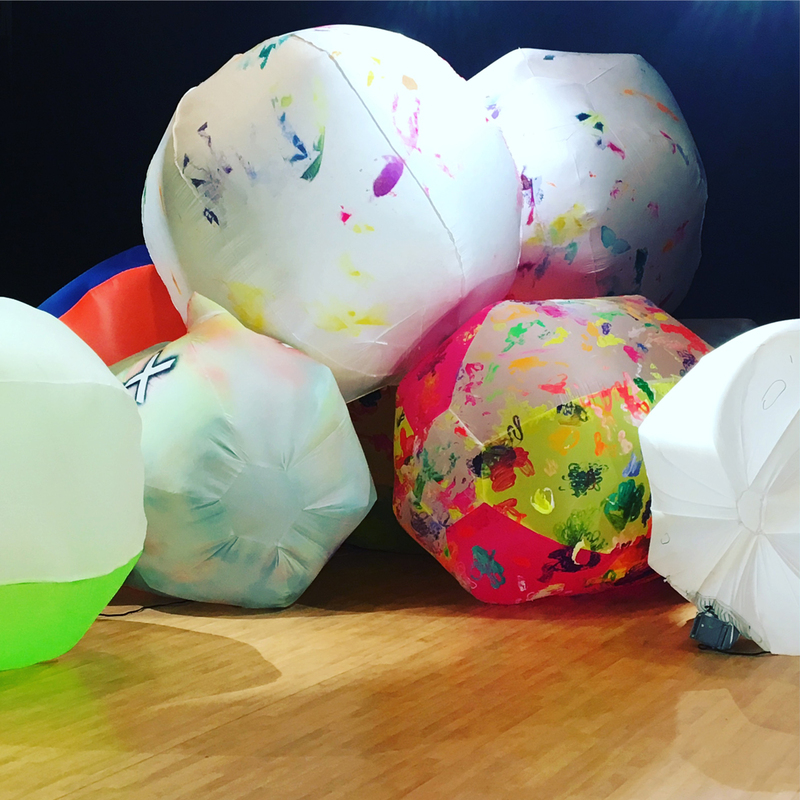 Ashley’s inflatable artwork resembles anything from a gargantuan marshmallow with appendages to an enormous pillowcase. Stitched and painted by the artist herself, the artwork is her way of “making paintings without making paintings,” she says. They have been part of her practice for more than 10 years, functioning as paintings, sculptures, site-specific installations, and performances. Ashley’s studio practice also influences her teaching. In her Exploding Paint course, which comes directly from her own relationship to painting, students are encouraged to take an irreverent approach to the medium, to pull surfaces off stretchers and to think about sculptural and performative painterly practices. In addition to pushing the boundaries of what a painting can be, Ashley pushes her practice further by collaborating with other artists; often with former students, alumni or faculty members. Problems get solved differently with each collaboration and the work becomes more inventive, she adds. See Ashley’s latest inventions at Beautiful/Night on March 2.